The Phrase “Pushing The Envelope” Originated With? What Early Artificial Sweetener Was Discovered By Accident? Although the phrase “pushing the envelope” might sound bureaucratic in nature, its origins actually date back to U.S. military flight programs in World War II. 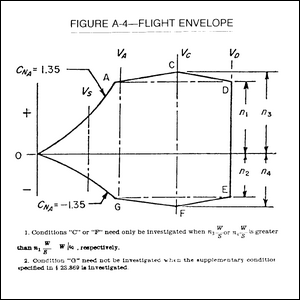 In aviation there is a concept known as the “flight envelope” that is both a mathematical construct that can be carefully charted out (as seen in the diagram here) and a physical reality that pilots wrangle with every flight. To “push the envelope” is to push an aircraft beyond its calculated flight capabilities, to attempt new maneuvers, and otherwise see how far a plane can be pushed away from the calculated safe-zone of operation. The phrase (and related phrases) didn’t stray very far outside of the military and civilian aviation programs until author Tom Wolfe used the phrase “pushing the outside of the envelope” in his 1979 book on the U.S. space program The Right Stuff. By the next year, “pushing the envelope” was appearing in print and within a few years the phrase was firmly enmeshed in American English.